THE result of Nestle and Cadbury Plc was badly affected by high cost arising from cost of procuring raw materials and packaging items. What do you think is the reason for this and what is the fate of these companies? The two of them have the same traces just like you rightly noted. Of course, you noticed that Cadbury’s turnover just increased marginally by 7.7 per cent. However, the cost of sales increased far much more than that on account of what you have said and that led to decrease in gross profit. Basically, the company has some imported content, imported raw materials and packing items. By the time you look at the bought in material and movement of value added, you see that they have some imported raw materials and packaging materials also. They have some local leverage material that on their own has some imported content. So, the devaluation in the value of Naira which affected the devaluation of the cost of the packaging materials and other raw materials, which they buy in Nigeria here account for that increase in the cost of those things they have. Again, the rising cost of the risk we had here last year affected those things. So, these two factors affected the prices of the things that they produce. They couldn’t shift the increase in the cost of production to their customers in form of an increase in prices because of the weak purchasing power. Everybody was encouraging their customers to buy things because a lot of people were not paid salaries, and a lot of people lost their jobs. So, that was the reason for bulk of the problem they had last year that resulted in weak growth in revenue and increase in cost of sales which was fueled by dramatic increase in cost of raw materials and packaging materials and all of these things are imported content. Despite the similarity between both companies you described above, you still find that Nestle appeared to have weathered the storm in the economy better than Cadbury. Could you throw more light on this? When you compare Cadbury with Nestle, which is its major/closest competitor in Nigeria, you see that Nestle has wider variety of products than Cadbury. So, they were able to weather the storm and the problems that came out from the macro-economic environment far much more than Cadbury. That is why you see that the revenue of Nestle grew by about 20 per cent last year higher than that of Cadbury. However, if you look at it, it is just about four per cent real growth higher than inflation rate, but it is still better than what you have for Cadbury that recorded about 7.7 per cent growth. They were able to manage the cost of sales also. The cost of sales for Nestle went up by almost 27 per cent. That was what led to a drop in the gross profit margin. The absolute gross profit went up because of the increase in the revenue. Again, there was a lot of excess devaluation loss that was responsible for the bulk of the increase in cost of sales for Nestle because they also import a lot of materials from abroad for their production. So, that led to the increase in cost of sales. The greatest problem that Nestle had was the finance cost. Finance cost, for instance, went up from about N4 billion in 2015 to about N20 billion, that is almost x5 and that also deflated their profit before tax. The economic situation, the weak purchasing power in the country, delayed payment of salary, loss of jobs, and of course, increase in the of price of commodities which affected the purchasing power of consumers mean that actual purchases of their goods was not as much as it was. But again, for the fact that they had variety of products, their revenue is more resilient than what you have for Cadbury. Therefore, the company was able to weather the negative impact of the macro-economic environment on their revenue. Going forward, what should the companies do to remain profitable? For them to remain very much more efficient, they should continue to look at local sources of raw materials. They should continue to engage in backward integration. Are there any of their products that they are importing at the moment that they can source locally in order to help them conserve some foreign exchange. Also, Nestle has loans, some of them are foreign loans. But again, they are foreign expansion and if they are foreign expansion, it then means that they will need some loans to fund this expansion. But there is a limit to how they can do that. More importantly, this time, they cannot increase price so aggressively. So, what they need to do is to determine how they will remain very efficient in terms of cost cutting, engage in more aggressive marketing to ensure they continue to price their products, while trying cut some cost. 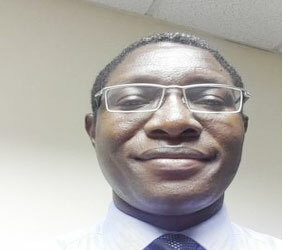 The post Nestle, Cadbury need more aggressive marketing to remain profitable – Akinwunmi appeared first on Vanguard News. #GCGT7: Abuja, PH auditions done, Lagos get ready, you’re next!